It's a deadly diabetes double-cross. Doctors routinely prescribe drugs and insulin for your blood sugar problems—even though these treatments have been proven to significantly INCREASE your risk of death from heart disease or any cause! 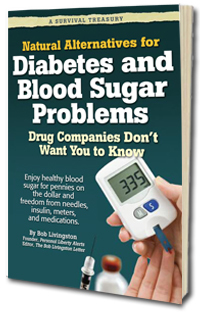 At the same time, the medical establishment tries to suppress the safe, natural alternatives that work wonders to ease—and even reverse—your blood sugar problems. And many more lifesaving secrets that'll surprise, even shock you!